The Holidays are the most wonderful time of the year. They are magical, in fact. And, so are the low prices at Volkswagen of Gainesville. The time to save is now. No out of pocket money needed, all you need is a pen to Sign Then Drive away in your new car. 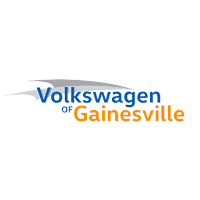 Visit Volkswagen of Gainesville and get magical Holiday offers. And, our vehicles are backed by our exclusive 20-year/200,000-mile warranty. And, just like the holidays don’t last forever, neither do these offers. Come see us, today! Keep reading to see our magical Holiday offers. Finish the year behind the wheel of the Volkswagen of your dreams! *Requires use of $2,500 Trade Assistance and $2,500 Finance Assistance, with approved credit and financing through VW Credit. Price is plus sales tax, $184 private tag agency fee and titling, any dealer-installed accessories and dealer service fee of $899, which represents cost and profit to the selling dealer for items such as cleaning, inspecting, adjusting new vehicles and preparing documents related to the sale. **With approved credit. Offers available on select Volkswagen models. 36-month lease with $0 due at signing and $0 security deposit. 10,000 miles per year, $0.20 per mile thereafter. Lease price includes tax, tag, title fee, $899 pre-delivery service fee and $185 electronic tag fee. See dealer for details. Expires 01/04/18. *Requires use of $2,750 Trade Assistance and $2,750 Finance Assistance, with approved credit and financing through VW Credit. Price is plus sales tax, $184 private tag agency fee and titling, any dealer installed accessories and dealer service fee of $899, which represents cost and profit to the selling dealer for items such as cleaning, inspecting, adjusting new vehicles and preparing documents related to the sale. **With approved credit. Offers available on select Volkswagen models. 36-month lease with $0 due at signing and $0 security deposit. 10,000 miles per year, $0.20 per mile thereafter. Lease price includes tax, tag, title fee, $899 pre-delivery service fee and $185 electronic tag fee. See dealer for details. Expires 01/04/18. *Requires use of $2,000 Trade Assistance and $2,000 Finance Assistance, with approved credit financing through VW Credit. Price is plus sales tax, $184 private tag agency fee and titling, any dealer installed accessories and dealer service fee of $899, which represents cost and profit to the selling dealer for items such as cleaning, inspecting, adjusting new vehicles and preparing documents related to the sale. **With approved credit. Offers available on select Volkswagen models. 36-month lease with $0 due at signing and $0 security deposit. 10,000 miles per year, $0.20 per mile thereafter. Lease price includes tax, tag, title fee, $899 pre-delivery service fee and $185 electronic tag fee. See dealer for details. Expires 01/04/18. Don’t delay! These offers will not last long. Click on the button and lock in your savings. Stop by and test drive the Volkswagen of your dreams.